An oldie but goodie. 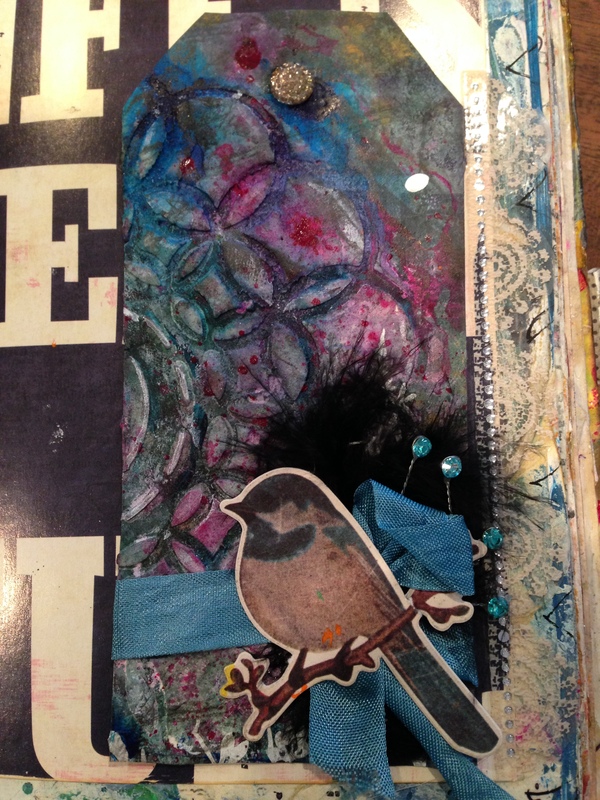 Okay maybe not an oldie–it’s from 2012–I think that maybe qualifies as an oldie–three years–okay not really, but I have done a ton of creating since I created this art journal page. I created this page while working in my first actual designated art journal. I see so many of the same techniques I am currently using–what’s interesting though is that some of these techniques I used back then and then stopped or didn’t use them much and now they are creeping back into my art. For instance, since I learned about molding paste aka modeling paste aka texture paste I have enjoyed it as a medium but lately I realized I really always appreciate texture in my art journaling. When my pages don’t have dimension I feel they look flat. This is true of course, as without dimension they are flat. Now if that isn’t a brilliant statement…But really, I think I used same jar of Golden’s Molding Paste for a year. I used it if not sparingly, at least not like the I do now, Now I use it like frosting. See some recent posts. You will see I am in a heavy texture phase. Since the New Year I have purchased four jars. 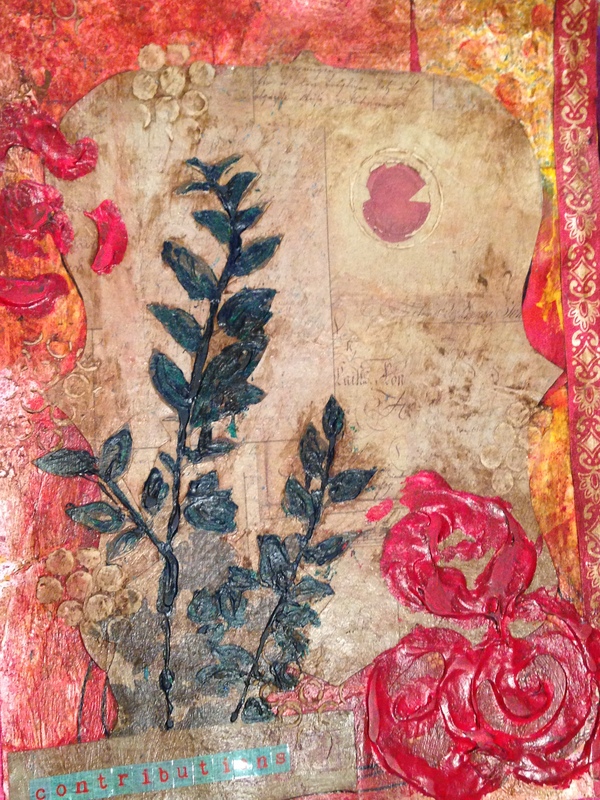 Now, I am back from making my texture rant…When I look at other artists/crafters/creators I don’t miss dimension in their art journal or wall art, but I do in mine. I see now, that I have liked texture for a long time. Notice the molding paste dots, the green heavy bodied paint over the dimensional leaf ribbon and the red heavy bodied paint over the red roses. Also, notice that I have layers of paper creating both interesting layers but also texture. I believe you have just witnessed me in an art journal growth moment. Hi. I am on vacation this week. Lucky me! In any case, despite some technical difficulties here is a pretty tag layered with bird ephemera, texture paste, stencil, distress ink, rub-ons and binding. Check back on Friday to check out a DLP 2015 journal page using the bird tag as a page element. I hope you enjoy!